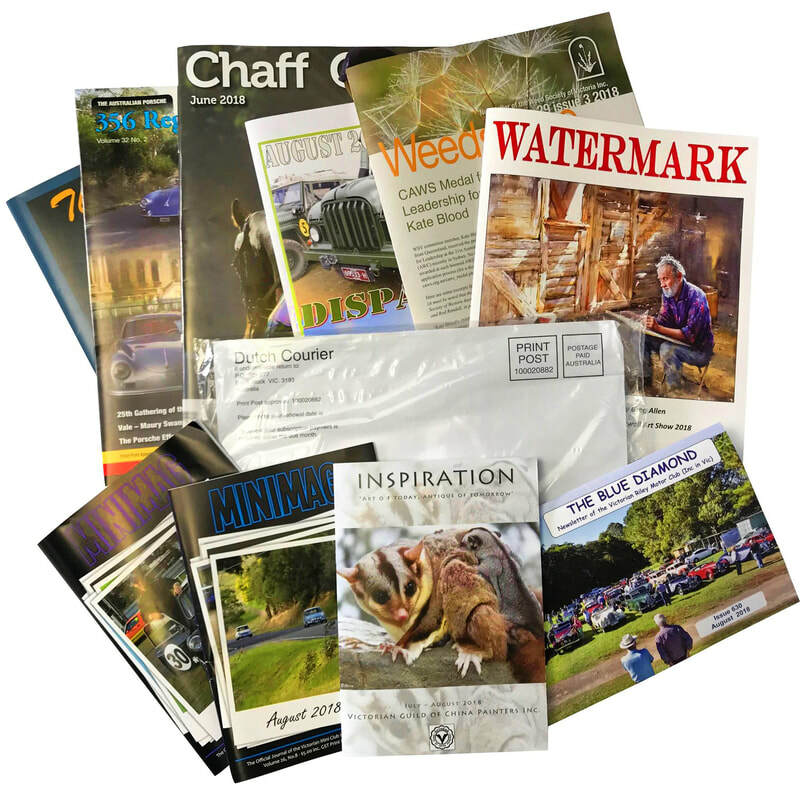 Clubs, societies, associations and businesses printed as A4, A5 and various size Newsletters for members. Booklets, single sheets, stapled Newsletters, folded Newsletters in Full colour, Black & White or both. We organize mail "in house" by plastic bagging, folding or enveloping. With your mail database we "Mail Merge" directly onto the newsletter, a covering sheet or envelopes and mail for you. Australia Post charge Maroondah Printing and we pass on the charge to you at cost.